What Is May Chang Essential Oil? If you want to enhance the looks of your skin, May Chang essential oil is the oil to use. This oil is primarily grown in China and comes from a tree—the May Chang tree—that prefers sunny and hilly landscapes and sparsely forested areas. This skin tonic and essential oil leaves the skin feeling revitalized and silky. The oil is known for its invigorating citrus scent—a scent that people find incredibly uplifting and perfect for getting rid of fatigue, mental fogginess, and lethargy. The astringent properties of the oil tone and firm the skin, making a person look more youthful, regardless of their age. The oil’s Latin name is Litsea cubeba, and it is known as a major oil among the world’s essential oils. The flowers of the May Chang tree are pale yellow in hue and the fruits are either deep red or green. However, the most notable quality of the plant is its lemony scent. While the plant tends to come across as citrusy, it is part of the Chinese pepper family of plants. Therefore, the plant is technically considered a spice. The ascendance of the plant for use in aromatherapy and skin health is primarily due to its uplifting scent. The May Chang plant provides an oil that gives the user a feeling of mental clarity and well-being. It is frequently referred to by aromatherapy professional as the “oil of tranquility.” The fragrance of the oil promotes a mental calmness and overall physical relaxation. May Chang oil is known for its strong antiseptic properties and is used to treat oily skin, acne, and blemishes. The anti-fungal properties of the oil can be used to treat athlete’s foot and to deodorize and prevent excess perspiration. This oil is steam distilled for use. It comes from the fruit part of the plant and is colored yellow. Its consistency is thin and its perfumery note is medium. The oil’s botanical name is Litsea cubeba. All the above components give the oil its fragrance and support its use for treating skin flaws, such as acne, or alleviate indigestion. While not as well known as many of the essential oils, it does come with several excellent benefits primarily for the skin and its invigorating actions on the mind. You can also use this oil for general skin care, certain skin conditions such as acne as well as several other conditions. If you would like to know more about this hidden gem, please read on. We will let you know exactly what it can do for you and help you find out how you should use it. One of the best benefits of may chang essential oil is in its ability to energize your mind and help get you in the mood for the day’s demands. This oil is an ideal oil to inhale, as its pleasant and invigorating scent gets rid of fatigue or lethargy. If you want an oil to pick you up, this is the oil to choose. This oil is an ideal accompaniment to anyone who is enervated and tired. To inhale the oil, add a few drops to the palms of your hands and cup them over your mouth and nose. Alternatively, if you have a diffuser machine, try diffusing this uplifting oil through the home or office throughout the day and evening. It should help elevate your mood and help you focus better on your daily tasks. If you want to get rid of the winter blues or feelings of sadness and mild depression. may chang essential oil may be just the tonic you need. The best way to treat depression and other emotional issues with essential oils is by inhalation. You can use this uplifting oil in a diffuser on its own or mix it with another uplifting essential oil like lavender and diffuse it through the day and night. Alternatively, add a couple drops to your pillows and bed sheets at night. If you are feeling down in the dumps and need a mood boost, this oil may well help you overcome your troubles. There are no studies into the antidepressant benefits of may chang essential oil but many people find certain oils to help a great deal especially in cases of mild depression. If you have no luck with may chang oil, there are plenty of other oils that can help with feelings of depression as well as other emotional issues like stress and anxiety. Click the following link, if you would like to find out more. Essential oils for anxiety and depression. May chang has been a popular remedy in Chinese medicine for centuries. Many parts of the plant have been used to treat a range of conditions including digestive conditions. According to traditional use, may chang helps relieve bloating and flatulence and prevents gas from building up in the digestive tract. According to research, may chang essential oil has excellent anti-inflammatory properties which may help treat a range of inflammatory conditions including rheumatism and lupus. Studies have found that may chang essential oil has excellent antibacterial and antiviral properties that could be useful in treating certain bacterial infections and also viral infections like the common cold. May chang essential oil may also help clear the sinuses and congestion in the respiratory tract. It contains various compounds that act as natural expectorants that help clear mucus from the system allowing you to breathe more freely. Try adding a few drops of May chang essential oil to a sink full of hot water, cover your head and shoulders with a towel and inhale the soothing vapors for five minutes or so. May chang essential oil can be applied to your skin to help reduce oily skin and clear up acne and blackheads. May chang has excellent antibacterial properties that can keep the skin clean and free of harmful bacteria. It can also help reduce excess oil in the skin and clear out dirt and grime. Add a few drops of May chang essential oil to your normal skin cleanser or moisturizer and apply it to the affected parts of your skin. If you have feet that perspire too much or you simply have a problem with excreting too much sweat, you can use May Chang oil as a deodorizer and to treat the problem. Add a few drops of May chang essential oil to a spray bottle of water and spray it under your arms and other parts of your body that are prone to sweating. Add May Chang oil in a lotion and cream and apply to the body or face. Doing so will make your skin feel softer and silkier overall. You can also use May Chang oil for cleaning and sterilizing surfaces. To add to its cleaning efficiency, mix May Chang oil with tea tree oil for better cleansing action. People like to use this combination to clean, as it does not leave a disinfectant scent. Some of the compounds contained in May chang essential oil have natural repellent qualities that can keep away mosquitoes, ants and various other unwanted creepy crawlies. Try adding a few drops to your body lotion to keep the mosquitoes away. Alternatively, you can add a few drops of this essential oil to a spray bottle of water and make your own insecticide spray. If you are using this essential oil to boost your mood or reduce fatigue, then try diffusing it throughout the day or night. You can also apply May chang essential oil topically as long as you dilute it first with a suitable carrier oil like coconut oil or jojoba. To treat your skin, add a few drops of this essential oil to your regular skin care products and apply as normal. What blends well with May Chang? May chang oil blends very well with a number of other essential oils and will introduce a delightful, fresh citrus scent to the mix. It blends very well with bergamot, basil, ginger, jasmine, lavender, clary sage, rosemary and ylang ylang essential oils. Of course, it also blends very well with any of your favorite citrus oils. What is litsea essential oil used for? May chang or Litsea cubeba essential oil is mostly used for its uplifting benefits on the mind. It can help reduce fatigue and boost energy while helping you overcome feelings of sadness, grief and mild depression. This oil is also a great tonic for the skin while it can also help treat congestion. 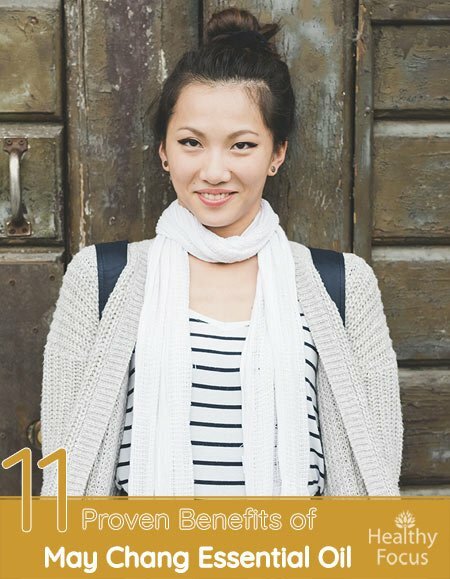 is May Chang Essential Oil safe? May chang essential oil is safe for topical application as long as you dilute it first with a carrier oil or add a few drops to your regular skin care products. Like the vast majority of essential oils, may chang is not considered safe for internal use. When mixed properly with other oils, this oil is safe. To avoid any risk along these lines, you should dilute the oil with a carrier oil for topical applications. You should check with your doctor before using the oil, as it can have certain drug interactions. This oil is not a kid friendly or safe oil for children. A precaution against the topical use in infants and children is recognized. People with hypersensitive, diseased, or damaged skin should also consult with a dermatologist before using the oil. Never ingest may chang essential oil. It is unsafe for human consumption. Because a number of factors can affect the shelf life, you need to buy May Chang oil or any essential oil from a brand that is well known and trusted in the industry. Learn more about the date of distillation and what type of storage for the oil is maintained. For example, some brand companies maintain a bulk oil inventory that is nitrogen blanketed, sealed, and cooled to protect the oil’s efficacy. Any oil that is distilled in the past year, but is stored in quality storage condition will keep its therapeutic value better than an oil that was recently distilled, but was not stored under the proper conditions. Allergens in the oil include citral, 78%, geraniol, 1.5%, citronellol, 1.5%, limonene, 15%, and linalool, 3%. To avoid side effects, blend the oil with a carrier oil and consider blending it with certain other essential oils, including sandalwood or cedarwood essential oils. May Chang oil can be used for one of a number of uses but is best known for its use in skin care products. Not only does the oil smooth away wrinkles, its astringent qualities make it a preferred oil for getting rid of oily skin and acne. You can also use the oil to get rid of depression and feel more energetic. Make sure that you buy May Chang oil from a quality brand and supplier. By making this type of selection, you will experience great efficacy. Find out how the oil is distilled and learn how the supplier stores the oil before you make a buying decision. If the oil is refrigerated and kept in a cool place, it will probably be more useful to you than if it is not stored this way. You can use this oil by diluting it and adding it to a diffuser or an aromatherapy lamp or you can apply the oil directly to a site. When it is used in cleaning, it is best combined with an oil, such as tea tree oil. Doing so will increase the cleaning action and leave a room smelling fresh. Whatever your reason for using May Chang oil, you will find that it will benefit you in one of a number of ways. The primary benefits of using the oil reveal themselves in better looking skin, a calmer demeanor, and less problems with perspiration. Using the oil in the house for cleaning will also sterilize and clean your house so it is healthier and more hygienic. This oil complements most middle perfumery notes of flowers and herbs and works especially well when it is combined with cedarwood or sandalwood. When you add May Chang oil to a blend, it contributes an uplifting quality. The oil blends extremely well with neroli, orange, and lavender. This oil is recommended for use with tea tree oil during the winter cold and flu season. Simply use one drop of tea tree oil with two drops of May Chang. You can also use lavender, cedarwood, and May Chang in equal portions in a carrier oil, such as almond oil, for massage purposes. Whether you use the oil for a massage or in a diffuser, you will find that its qualities will make you feel calmer and help you overcome any depressive thoughts. Not only will your skin look better, you will also find that you will suffer less from congestion or allergy-related conditions.